Happy New Year Sweet Friends! WOW, 2017 went out with a bang. The last few weeks have been filled with nonstop work, parties, and lots of fun. I have thought several times over the past few weeks of hopping on this little space of the internet and writing a life update, but never really felt I had enough time to really catch you up. So, I find myself, sitting down this morning (January 2), with an extra day off work, to share an update from the past weeks. Life is good. Like, really good. I don't say that to brag, or to make myself feel better, I say that because I worked throughout 2017 to really cultivate JOY in my life. At the end of 2016, I felt like I was only going through the motions, and to be honest I wasn't really enjoying life very much. I would look around and see so many friends achieving their dreams and really loving life, and I just couldn't figure out how to obtain that. So, I sat out on a journey, to pursue JOY one step at a time. I like to be around people. My close friends and family energize me and make life so much fun. Making it a priority to catch up and spend time with friends and family is so good for my soul. Make good, honest decisions each day, and you can go to bed with peace of mind, which is priceless. And, knowing each day that I worked as hard as I could was so rewarding. When you mess up, apologize for anyone you hurt and move on. We are not perfect, and sometimes we say or do things we are not proud of. When that happened this year, I simply took a step back, picked up the phone, and worked it out with those that were involved. This also brought on stronger friendships and work relationships. Spending time with my husband always grounds me and brings so much stability and balance to my life. The Lord really knew what He was doing when He brought Matt and I together 21 1/2 years ago, and through it all, there is no one else I could imagine going through this life with, but him. So, after saying all that, I can honestly say that I left 2017 with a life full of happiness and joy. 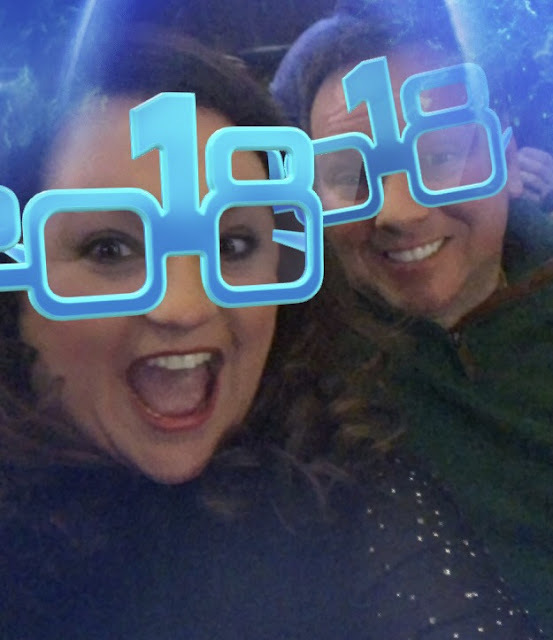 And, before I share my word and focus for 2018, I thought I would share some pictures from the past few weeks. Our Leadership Kingsport Group is still going strong with our monthly lunches! We are a shy group, to say the least. LOL! Traveled to Norfolk, Virginia with these two. So much fun and loved visiting a city I hadn't been to before. Driving up to White Top Mountain and cutting down our Christmas Tree. The tree that Jamie and Matt are looking at in the background is the one we picked!! We really enjoyed this tree, it was the perfect size. Celebrated my Birthday with a short getaway to the mountains. Lots of shopping and eating were involved. 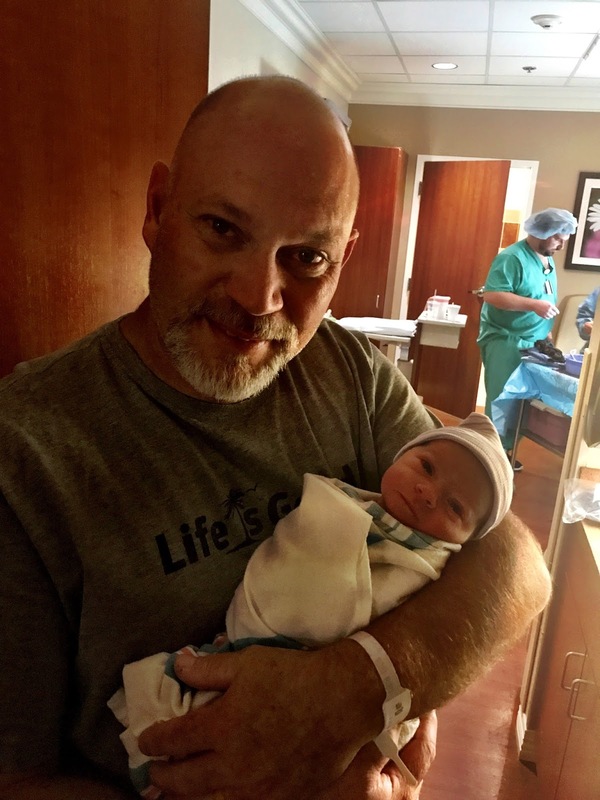 We made it back in time to welcome Miss Emmalyn Grace Davis to the world. We are all so in love with her. Matt and I love being an Aunt and Uncle to this bundle of joy!! We couldn't be more proud of Jamie and Kristy. Love all the new adventures ahead for our sweet family. Becoming such good friends with these two has been one of the best memories from this year. Spending time with these precious friends was so fun!! We spent a lot of time holding this precious one over the past three weeks!! Another highlight of the holidays was catching up with my bestie and her hubby. New Year's Eve in Nashville!! Life has been full over the holidays. We had an incredible Christmas and the week after Christmas was magical. 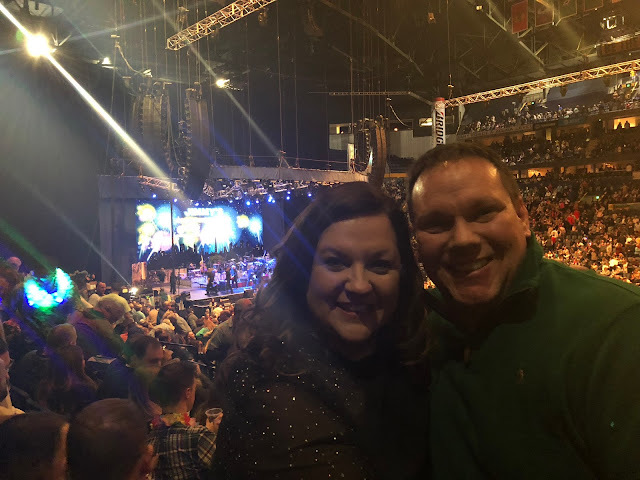 We headed to Nashville for New Year's Eve and had a blast. As we move into 2018, my word of the year is Discipline. I plan to cultivate a disciplined lifestyle to help me build healthy habits with my health, spiritual life, financial decisions, etc. Its doing to be an amazing year, and I cannot wait to see what all the Lord has in store.